Do you enjoy untypical coming-of-age stories? Well, you won't find one more untypical than Moxie's Problem. 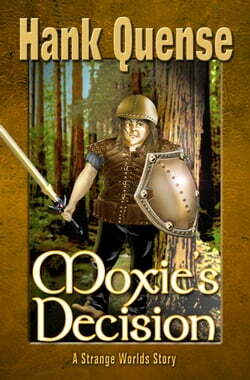 Moxie is an obnoxious, teen-age princess who has never been outside her father's castle. Until now. The real world is quite different and she struggles to come to grips with reality. The story... read more take space against a backdrop of Camelot. But it isn't the Camelot of legends. It's Camelot in a parallel universe. So, all bets are off!